See, you knew that all that law school training would come in handy one day. Or, will it? Check out Joe Ashton, and his final negotiation. Link: Palm - Support - Daylight Saving Time Update. As you may be aware, Daylight Savings Time is changing. In 2007, it begins on the second Sunday in March (March 11, 2007) and ends on the first Sunday in November. Treos and Windows computers need to be updated to accomodate for the change. If you use Outlook, Microsoft has an update page as well. Microsoft Outlook DST update page . Link: Treonauts | Palm Treo Software Updates. Here is another reason why I am glad I am not updating to Vista anytime soon. Treo users will need to install updates to their software in order to sync with Outlook 2007, and to keep up with other Vista changes. Ouch. If I made a list of all the applications I rely on, I'll bet a majority will require updating, or just won't run at all. Neochroma | Vision | A Digital Stereoscopic Viewer For The Photography And Mobile Markets. Link: Neochroma | Vision | A Digital Stereoscopic Viewer For The Photography And Mobile Markets. In the useless products that will never find a market among legal professionals category, we have the Neochroma, a stereoscopic viewer for cell phones. The product is in prototype stage, and the developers think there is a market for a ViewMaster for cell phones. You remember the ViewMaster, right? Stereoscopic 3D images of sightseeing destinations? Well, some of you are old enough. Ahem. Anyway, there are so many problems with this idea, I don't know where to start. First, would you carry one of these around so that you could see 3D images of your cell phone or PDA screen? How do you hold this thing? The one good thing this did was send me scurrying around the house to find my ViewMaster, and picture disk of the mermaids at Weeki Wachee springs. Okay, this is a comedy sketch, but I know that every lawyer out there has had client conferences like this, where a ridiculous client asks ridiculous questions. However, this lawyer takes it seriously (tongue in cheek of course). Question of the day: Should Coke sue Coke Zero for patent infringement? Link: Dell Taps Linux for Desktops, Notebooks - Yahoo! News. Will your next Dell notebook or desktop computer come preloaded with the Linux operating system? It might, and you might be seeing the tipping point for Linux in the corporate environment. 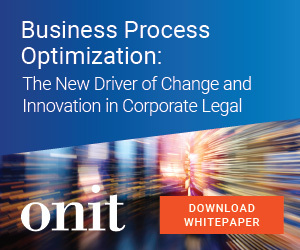 I remain convinced that much legal specific software will remain in the Windows world for some time; but, corporate users, and the increasing speed and quality of virtual computing on Linux and Mac will certainly speed the increase in market share for Linux. Dell loading it on its new computers will only hasten the trend. Link: Why Aren't You Upgrading to Vista? : Christopher Null : Yahoo! Tech. Christopher Null lists the reasons why Vista isn't worth the upgrade, most of which I have posted about before. However, perhaps the most important is that Vista isn't really any different than XP in its security, or lack thereof. It already needs a patch, and I don't know anyone who has bought it yet, unless it came with a new computer. 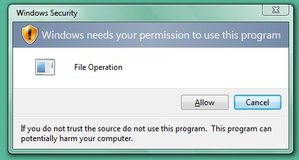 Worse, it sends a really annoying "Windows Needs Your Permission to Use this program" message everytime the user tries to load, run or otherwise use the computer. Once you turn off the annoying reminder, how is Vista any more secure than XP? 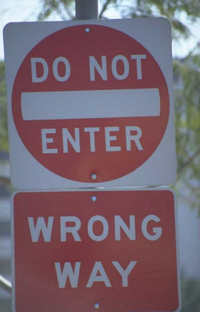 Rather that lock the door to everyone, and require the user to open the door whenever a task must be performed, Microsoft should think more about teaching the software the difference between something the user initiates, and something a bad third-part is trying to do to the system. Jennifer J. Rose was a solo practitioner practicing family law in Shenandoah, Iowa, for 20 years before moving to Morelia, Michoacán, Mexico, eight years ago. In that life, she was listed in Best Lawyers in America, rated AV by Martindale-Hubbell, and served a term as chair of the Iowa State Bar Association Family and Juvenile Law Section. She has been editor-in-chief of GPSolo, the flagship magazine of the American Bar Association General Practice, Solo and Small Firm Division, for a decade; has served on the Section’s Council; and has served on too many committees and boards to enumerate. She is list manager of the Section-sponsored listserve Solosez. She has been a contributing editor to Matrimonial Strategist and Internet Law Researcher and regularly serves as a judge of Law Office Computing’s annual law firm Web site competition. Her efforts over the years in editing the ABA's great magazine, GPSolo, and the Solosez email list, were instrumental in the FutureLawyer's decision to go solo. I don't know how she found the energy to practice law and to be so active in the ABA. I only lasted 5 years in ABA speaking and functions, and got burned out from the politics. 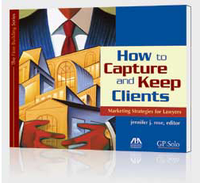 However, Jennifer is still going strong, and is running for Secretary of the Solo and Small Firm Division in the upcoming ABA elections. She has paid her dues, and then some. If you are a member of the ABA, or if you know someone who is, she deserves your vote. Link: Windows Vista RTM Software Compatibility List - IeXwiki. In the old days, the mantra was to first buy the software you were going to use in your practice, and THEN, buy the computer that would run it. Nowadays, with Vista rearing its ugly head, you need to check your software against the operating system first. Here is a Wikipedia list of programs that have severe Vista incompatibility problems. See anything you like? In fairness, a list like this could have been made about XP back in the day. However, now that XP is a mature operating system that works pretty well, and now that most of us have got a decent security system in place, my motto is: "If it ain't broke, don't fix it". 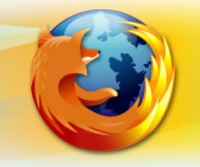 Link: Mozilla Firefox 2.0.0.2 Release Notes. Firefox, the best browser on the planet, just got even better. If you insist on using Vista (I hope at least you didn't pay for it, except that it came with a new computer), you will be pleased to know that Firefox supports Vista, with some caveats. Mozilla has also corrected the few security issues that have come up since the Version 2.0 debut. If you want the most pristine, most secure, most satisfying web experience on the planet, grab a cup of Deadman's Reach, fire up Firefox 2.0.0.2 on a Windows XP machine with all current updates, and reach nirvana.